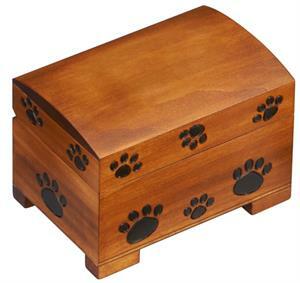 This chest box features a paw print pattern around the sides, leaving room on the top for an engraved plate if desired. The box is handmade in the Tatra Mountain region of Poland. Dimensions: 5-1/2 in. x 3-1/2 in. x 3-5/8 in.